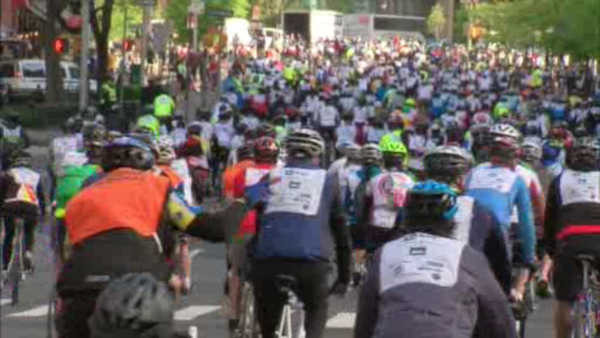 NEW YORK (WABC) -- On Sunday, thousands of cyclists will hit the streets of New York City for the 39th annual Five Boro Bike Tour. Organizers say that participants should not bring any bags, but the small ones attached to bikes. The 40-mile route takes cyclists from Lower Manhattan up to the Bronx, then into Queens and Brooklyn, and finally over the Verrazano Bridge into Staten Island.